KGFI is proud to play a carefully researched blend of world renowned music! We are also eager to introduce “new” artists pioneering new tunes for a worldwide audience. Our format is simply good worldwide music for the world to enjoy.KGFI internet radio is the home of legends,the station where legends are heard. KGFI does not limit itself to just music, we provide entertaing interviews so you will know what your favorit artist is up to.We give you the sports news around the globe and coming soon is KGFI talk show about issues concerning your commuinty around the world. KGFI enjoys entertaining its audience with unique shows, remote broadcasting, contests, and give–a-ways – providing a listening ear for advice and a reliable source for soothing comfort. 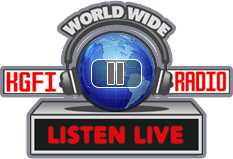 KGFI broadcasts daily 24 hours around the world.